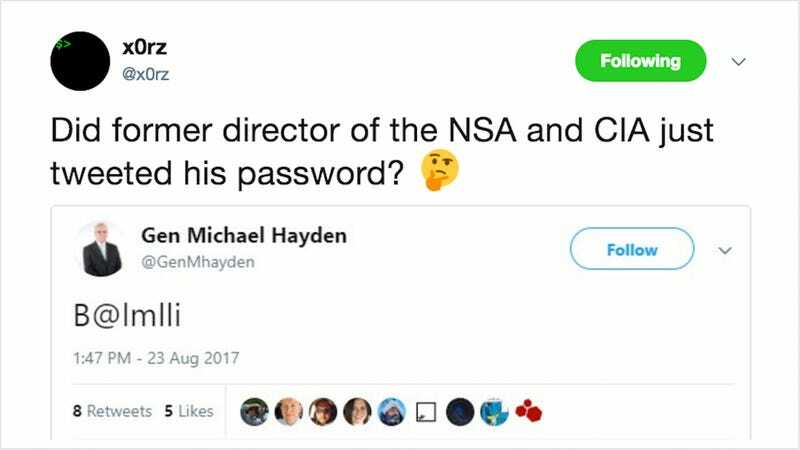 It sure looked like Michael Hayden, the former head of the Central Intelligence Agency, accidentally tweeted his password Wednesday morning. But rest assured, Hayden says he did not just pull a Sean Spicer. Another top theory has also been disproven—quite scientifically—by the same security researcher who was quick to screenshot the retired four-star general’s inadvertent tweet. So was it a pocket tweet or six-legged cat? Tell us in the comments below.